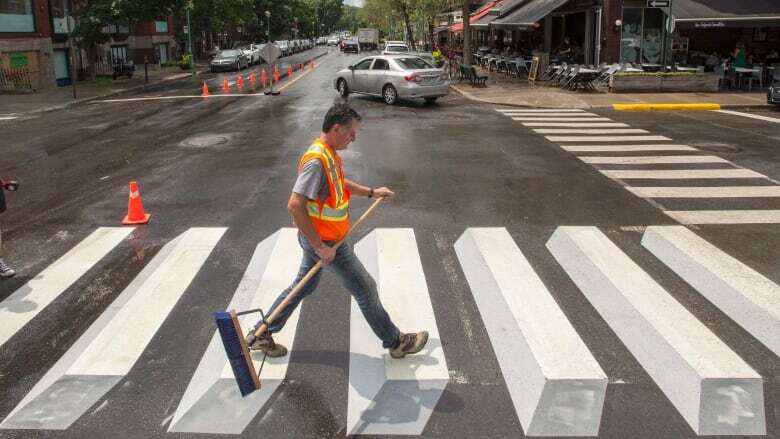 City workers painted a 3D crosswalk onto Outremont’s busy Bernard Avenue Tuesday. The idea is to catch the eyes of drivers to prompt them to yield to pedestrians. 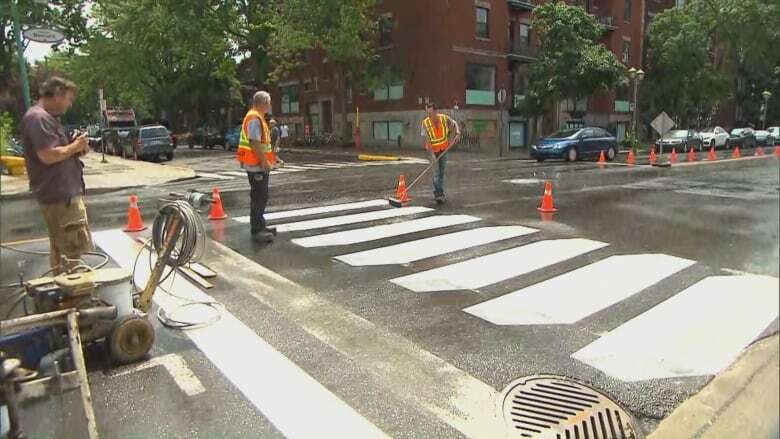 The Montreal borough of Outremont has joined Germany, France, India and Iceland in hopes of catching the eyes of drivers with a crosswalk painted to appear three-dimensional. City workers painted the 3D intersection on Tuesday on Bernard Avenue at the corner of Champagneur Avenue. The goal is to catch drivers' eyes and prompt them to yield to pedestrians. Outremont borough Coun. 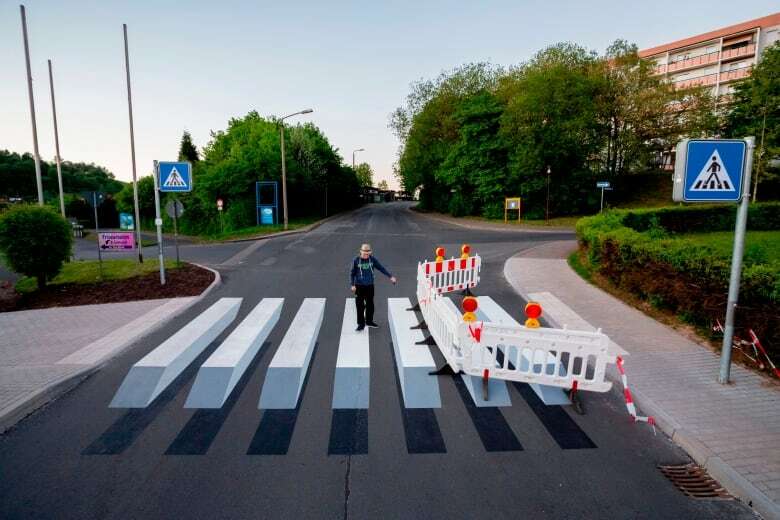 Mindy Pollak said she believes it's the first 3D crosswalk in Canada. The new crosswalk costs about $3,000, while the ordinary white stripes costs as little as $200, she said. Pollack hopes the sidewalk will make drivers slow down and give pedestrians a feeling of increased safety. Véronique Laberge Gaudin, a mother of three elementary school-aged children, said she appreciates the effort to slow down traffic. "I'll wait to see the results, but I'm sure it's going to make a difference," she said. Tim Nguiem, a tourist visiting from Texas, said he when first spotted it, "I didn't know what it was." He said if he were driving through the intersection, the optical illusion of a raised surface would "make me think twice." 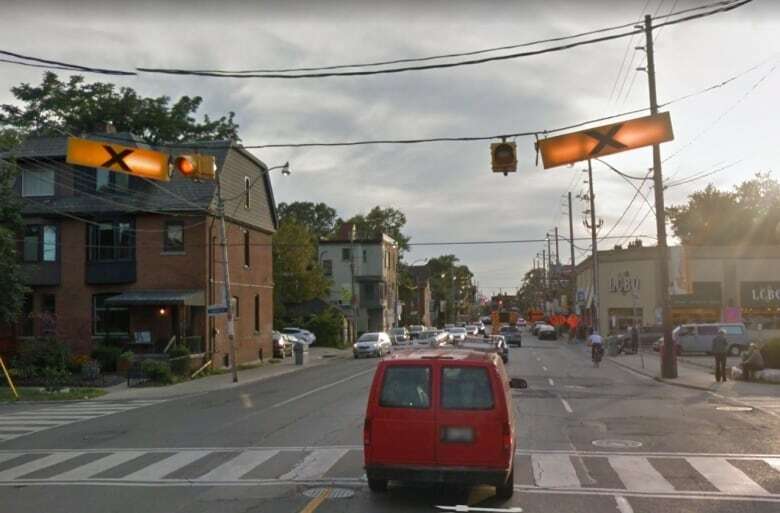 But Daniel Lambert, a spokesperson for the Association of Pedestrians and Cyclists of Westmount, said he doubts the crosswalk will increase safety for pedestrians. He says if the City of Montreal wants to get serious about protecting them, "it has to do more than these kinds of cosmetic, gimmicky things." Lambert recommends Toronto's approach. That city strings lights above crosswalks which pedestrians can turn to alert oncoming vehicles that they are about to cross the street. He also wondered if the 3D crosswalks will make it through the summer. Montreal uses water-based paints on the streets because they're environmentally friendly.